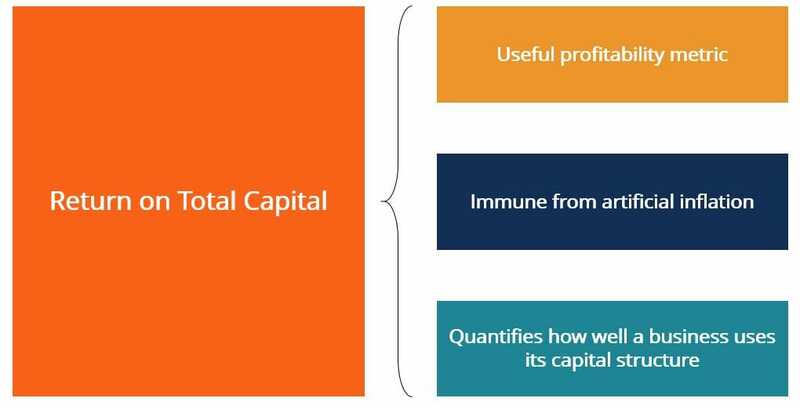 What is Return on Total Capital? 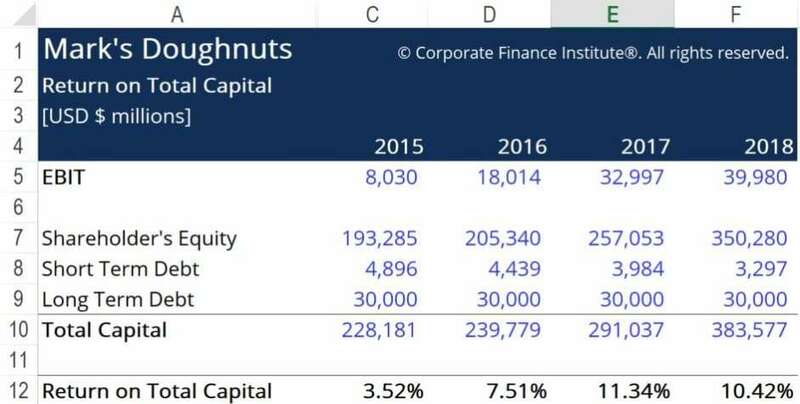 Return on Total Capital (ROTC) is a return on investment ratio that quantifies how much return a company has generated through the use of its capital structureCapital StructureCapital Structure refers to the amount of debt and/or equity employed by a firm to fund its operations and finance its assets. The structure is typically expressed as a debt-to-equity or debt-to-capital ratio. Debt and equity capital are used to fund a business’ operations, capital expenditures, acquisitions,. This ratio is different from return on common equityReturn on Common EquityThe Return on Common Equity (ROCE) ratio refers to the return that common equity investors receive on their investment. ROCE is different from Return on Equity (ROE) in that it isolates the return that the company sees on its common equity, rather than measure the total returns that the company generated on all of its equity. (ROCE) as the former quantifies the return a company has made on its common equity investment. The ROCE figure can be misleading, as it does not take into account a company’s use of debt. A company that employs a large amount of debt in its capital structure will have a high ROCE. ROTC gives a fairer assessment of the company’s use of funds to finance its projects and functions better as an overall profitability metric. This ratio is immune from artificial inflationInflationInflation is an economic concept that refers to increases in the price level of goods over a set period of time. The cause for inflation in the short and me induced by a capital structure that employs a significantly higher or lower amount of debt capital than equity capital. Return on Total Capital can be used to evaluate how well a company’s management has utilized its capital structure to generate value for both equity and debt holders. ROTC is a better measure to assess management’s abilities than the ROCE ratio since the latter only monitors management’s use of common equity capital. 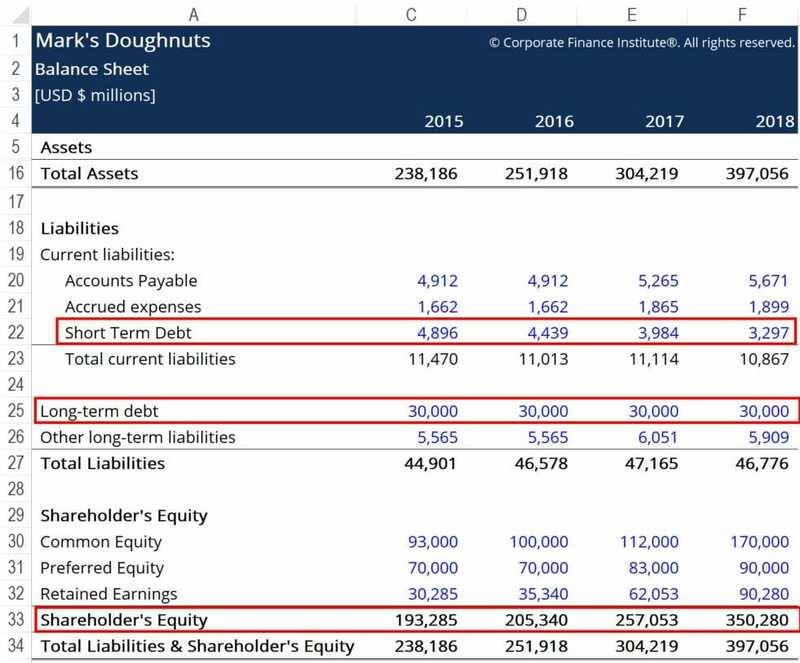 In the case of a business that has no liabilities outside of short-term debt, long-term debt, and total equity, return on total capital is virtually identical to the return on assets (ROA) ratioReturn on Assets & ROA FormulaReturn on assets (ROA), a form of return on investment, measures the profitability of a business in relation to its total assets. The ROA formula is used to indicate how well a company is performing by comparing the profit it's generating to the capital it's invested in assets. The higher the return, the more. This is because the business’ capital structure would make up the entirety of the business’ liability section on its balance sheet. That figure would be equal to the business’ total assets. (Assets = Liabilities + Equity). While ROA is also a useful profitability metric, it takes a more reactive approach to computing a business’ use of capital. ROA measures the value a business is able to generate based on the assets it employs, rather than on capital allocation decisions. ROTC more than tripled from 2015 to 2017. This indicates the company is making good use of its capital structure and pursuing NPV-positive projects. How to Calculate Debt Service Coverage RatioHow to Calculate Debt Service Coverage RatioThis guide will describe how to calculate the Debt Service Coverage Ratio. First, we will go over a brief description of the Debt Service Coverage Ratio, why it is important, and then go over step-by-step solutions to several examples of Debt Service Coverage Ratio Calculations. Current Portion of Long-Term DebtCurrent Portion of Long Term DebtThe current portion of long term debt is the portion of long-term debt due that is due within a year’s time. Long-term debt has a maturity of more than 1 year. The current portion of long-term debt differs from current debt which is debt that is to be totally repaid within one year. 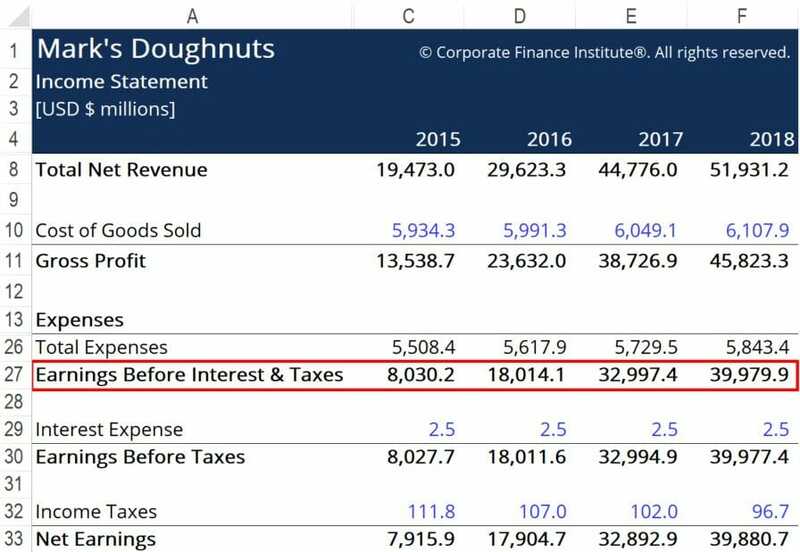 Defensive Interval RatioDefensive Interval RatioThe defensive interval ratio (DIR) is a financial liquidity ratio that indicates how many days a company can operate without needing to tap into capital sources other than its current assets. It is also known as the basic defense interval ratio (BDIR) or the defensive interval period ratio (DIPR). ROAS (Return on Ad Spend)ROAS (Return on Ad Spend)ROAS (Return on Ad Spend) is an important eCommerce metric. ROAS measures revenue generated per dollar of marketing spent. It is a similar and alternative profitability metric to ROI, or "Return on Investment". ROAS is commonly used in eCommerce businesses to evaluate the effectiveness of a marketing campaign.